Please join us for a great day of fun and fellowship as Zion hosts our 3nd Annual Charity Golf Tournament. We are excited to be hosting this tournament and donating all proceeds to 3 well-deserving non-profit organizations. Take a moment to find out more about these organizations by visiting their websites below. Weymouth Country Club is located at 3946 Weymouth Road in Medina. From I-71 take Route 3 South (Exit 222) approximately 2.2 miles. Weymouth Country Club will be on your right just past the intersection of Fenn Rd. and Route 3. Feel free to invite your spouse or other guests for dinner. See pricing on registration form. Funding will help the mission of the American Policy Roundtable, especially the national radio broadcast of The Public Square. This news and commentary broadcast is produced in three different formats and aired coast to coast on nearly 200 radio stations. Over one million broadcasts have been downloaded via podcasts. The Public Square is focused this year on the importance of iVoters.com and Article One - Fix Congress First. iVoters.com is one of America's most visited non-partisan voter information sites. All these efforts are funded solely by charitable, tax-deductible donations. 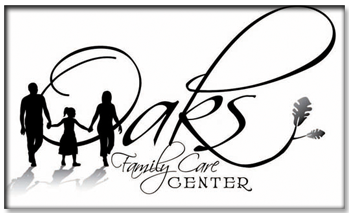 The Oak's Family Care Center may use some of the funds to help stock their food pantry. Providing free Pregnancy tests for clients as well as counseling and coaching for families in crisis are other ways that your efforts have helped. Northern Ohio Youth for Christ will be able to help teen's with scholarships to attend trips and events. They will now be able to provide seed money to different high school clubs as they look to begin new outreach programs for the Fall. YFCNO is also working to get their new Thrift Store/ Training Center up and running in Wadsworth. Would you like to join our email distribution list? Looking for more information about induction heating?